Looking after the environment is something we are passionate about and is always a consideration in the running of our business. 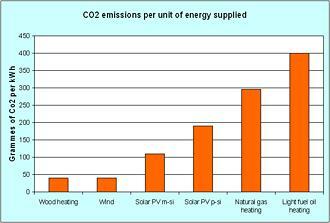 Burning wood for heat is a cost effective and sustainable option and the most carbon lean of all the renewable energy options. Burning wood can deliver 90% reductions in Co2 emissions when compared to fossil fuels. All our wood is sourced locally from sustainable and well managed woodlands, we are also increasingly using timber from our own farmland. Our softwood supplies for the winter 2014 will be made up entirely from timber grown on the farm. All the timber is chopped split and stored on the farm keeping handling to a minimum. No part of the timber is wasted with any knotted or irregular logs making up our bags of kindling. The sawdust is used for animal bedding on the farm and other small off cuts and splinters make up our bags of kindling 2nds. We have all felt the pinch of rising fuel prices over the past few years with oil and other fossil fuel prices rising dramatically. Woodfuel is largely immune to the wild global fluctuations in energy prices. As well as being cheaper, woodfuel also offers long term energy security with Scotland blessed with rich sustainable forestry resources.